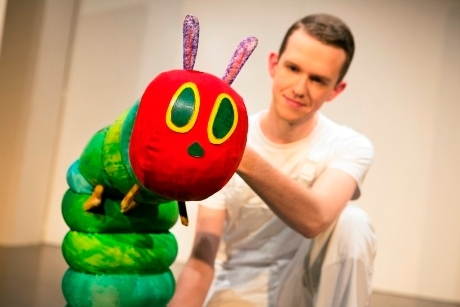 The popular children’s book, The Very Hungry Caterpillar, has been adapted for the stage and will be coming to the West End this winter. The Very Hungry Caterpillar Show, suitable for Primary School pupils, will run from 13th December until 7th January, 2018, offering an idea for a Christmas school treat that also ties in with the Literacy curriculum. The show will be staged at the Ambassadors Theatre and tickets are now on sale. The Very Hungry Caterpillar Show features around 75 creative puppets during the 60-minute show that adapts four of Eric Carle’s best loved books for the stage: The Artist Who Painted a Blue Horse, Mister Seahorse, The Very Lonely Firefly and, of course, The Very Hungry Caterpillar. The show is adapted for the stage by director Jonathan Rockefeller, whose production sees four master puppeteers weave their way through Eric Carle’s stories. The Very Hungry Caterpillar, has delighted generations of readers since it was first published in 1969 selling more than 43 million copies worldwide. The Very Hungry Caterpillar Show can tie in with the Literacy curriculum for Key Stage 1 and 2 pupils. Teachers should contact the theatre’s box office for details on school rates. For more information, visit www.hungrycaterpillarshow.com/london.